Your agents and brokers should fuel your bottom line - not drain your resources. Any time spent on manual processes is time lost on developing business. Efficiencies in every aspect of your distribution network are key to increasing profitability as quickly as possible. Duck Creek Distribution Management enables insurers to automate historically onerous tasks like ensuring licensure compliance, compensation management, and producer onboarding. 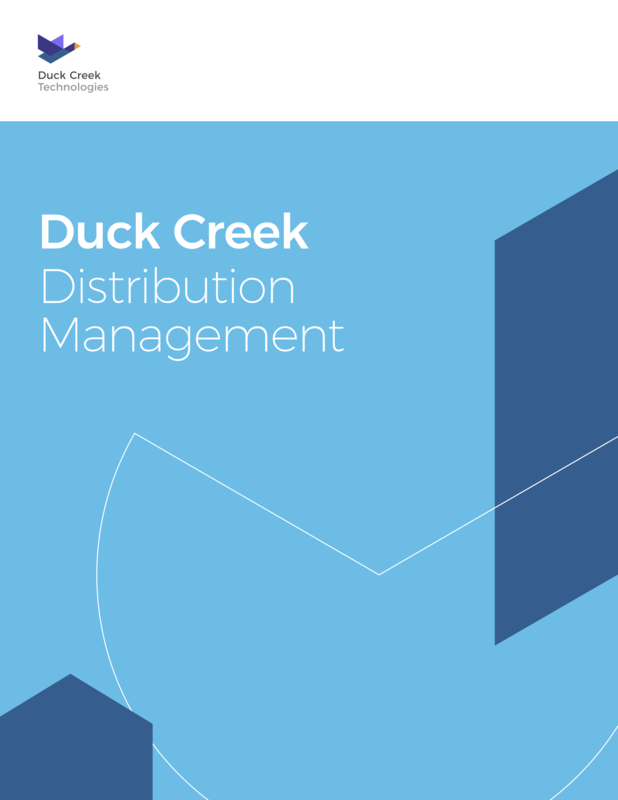 Download this brochure to learn how Duck Creek Distribution Management can get your producers building books of business faster, keep them in compliance, and much more.